The fates didn’t waste any time throwing the business at Corey Seager in his first Dodger game in nearly three weeks. Scott Kazmir began tonight’s Freeway Series opener against the Angels with his two-seam fastball running between 88 and 90 mph in the first inning. Then, with two outs and two strikes on C.J. Cron, Kazmir hit 92 with a fastball that Cron fouled into A.J. Ellis’ glove for strike three. The speed bump wasn’t a coincidence. Angels at Dodgers, 7:10 p.m.
As the Dodgers returned home from their wanderings in the desert, they took another step toward finalizing their Opening Day roster — with other steps remaining to go before Saturday morning deadline. Three former Dodgers — Rick Monday, Tom Paciorek and J.D. Drew — have been elected to the 2016 class of the National College Baseball Hall of Fame. 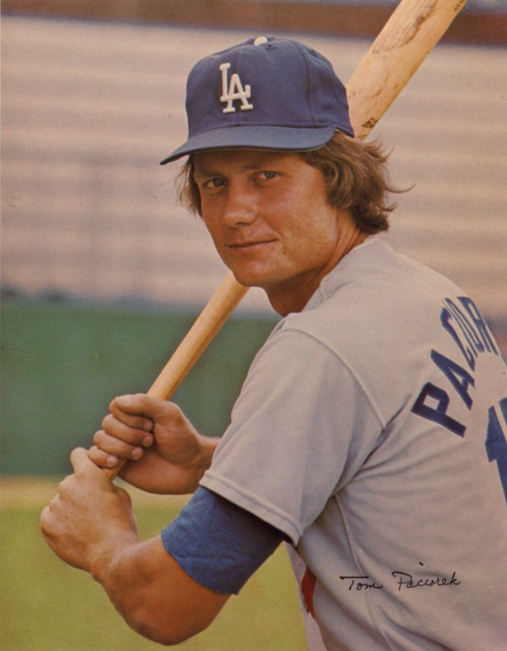 Monday, the current broadcaster whose capture-the-flag exploits and 1981 National League Championship Series-winning home run made him a Dodger legend, was the first draft pick in MLB history after The Sporting News named him 1965 National Player of the Year. We chronicled Monday’s journey from college to draft groundbreaker in a Dodger Insider feature last summer. Drew, who had a .905 OPS for the Dodgers from 2004-05 and was part of the heroic 4+1 quintet, was a two-time All-American and consensus national player of the year awards in 1997 for Florida State. 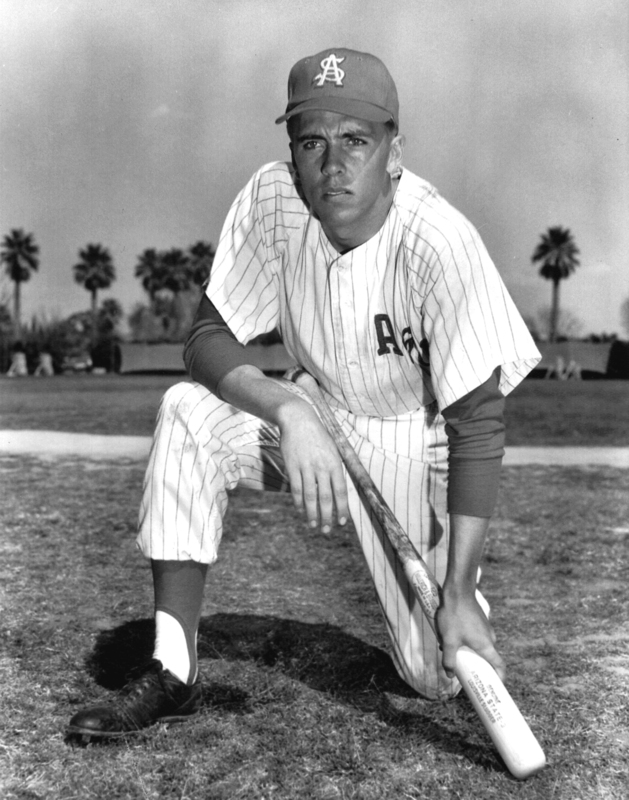 Paciorek, who played the first six seasons of his 18-year MLB career with the Dodgers, was an All-American in 1967 and 1968 and hit .435 in 1967 for Houston. Indians at Dodgers, 1:10 p.m. Though he remains hopeful that Yasmani Grandal will be on the Opening Day roster Monday, Dave Roberts told reporters today that A.J. Ellis would catch Clayton Kershaw. Roberts didn’t leak his entire Opening Day batting order, but predicted Justin Turner-Adrian Gonzalez would be in the three-four slots, and that Chase Utley (playing second base in place of Howie Kendrick) might lead off. For what it’s worth, Utley has OPSed .892 this spring. Corey Seager remains scheduled to start Thursday in the Dodgers’ Freeway Series opener. Trayce Thompson, Charlie Culberson, Rob Segedin and Austin Barnes should see action in the Freeway Series, but Rico Noel, Elian Herrera and Brandon Beachy won’t. 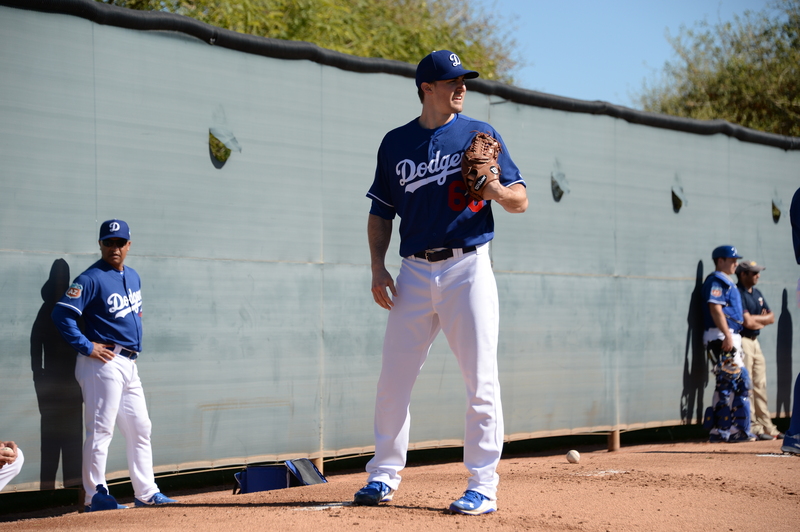 Hyun-Jin Ryu had a full bullpen session scheduled for today and should begin facing hitters at Camelback next week. 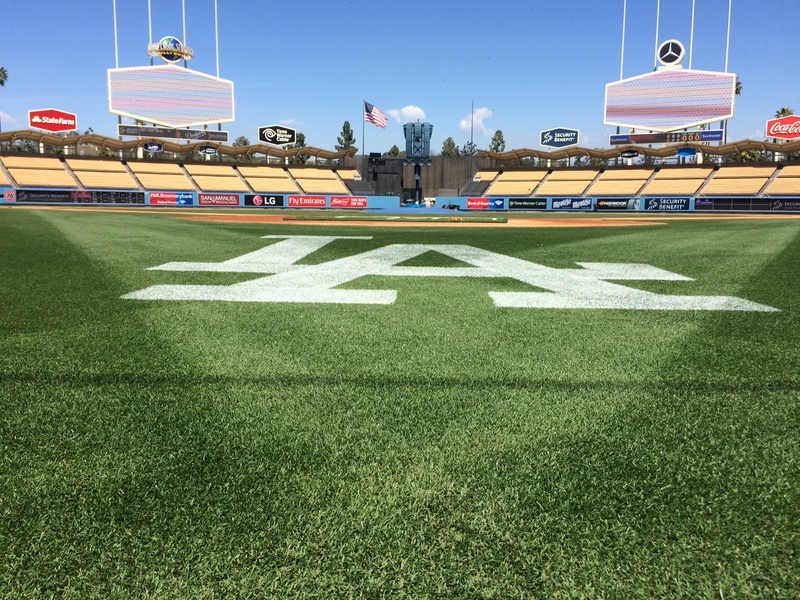 All players on the disabled list are to be at Dodger Stadium for Opening Day, however. Scott Kazmir provides an interesting touchstone for Julio Urias in this Ken Gurnick MLB.com story. Kazmir was 20 when he made his big-league debut for Tampa Bay, whose director of baseball development at the time was Andrew Friedman. Don Newcombe told Ron Cervenka of Think Blue L.A. that running is the key for a pitcher to stay healthy. MLB players and coaches can now have iPads in the dugout during games. Roberts said his staff might take advantage, but that he was more likely to stick with paper. 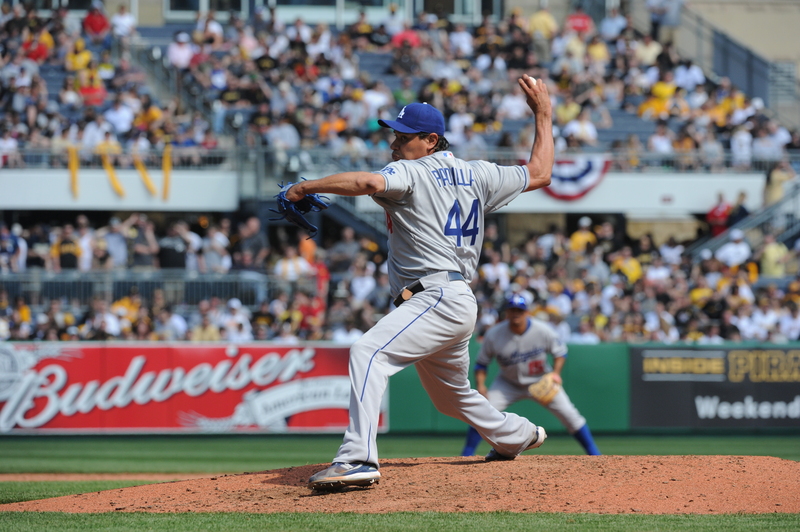 Vicente Padilla allowed seven runs in 4 1/3 innings on Opening Day 2010. 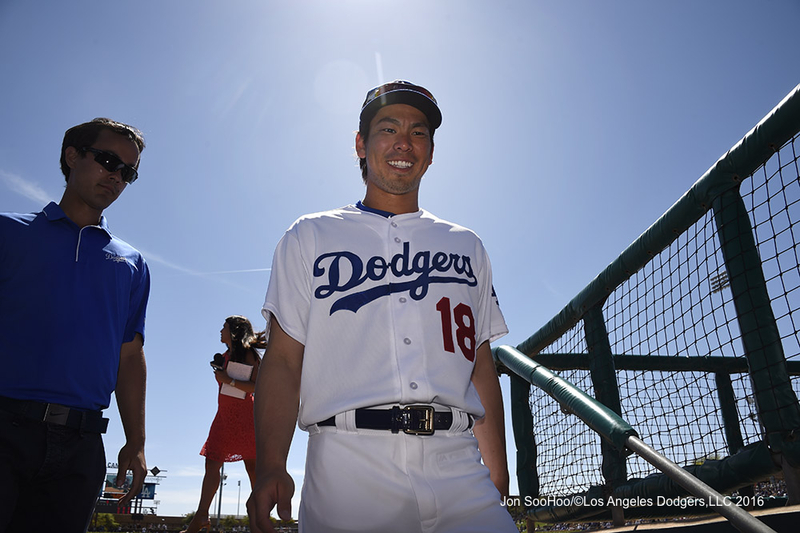 Every spring, there’s tons of edge-of-your-laptop anticipation over who will start for the Dodgers on Opening Day, even if it won’t mean much by the end of that year, month, week or game. Ross Stripling had an interesting day today — not as interesting as the 11-9 final score of the Dodgers’ loss to the Padres would suggest — but interesting nonetheless. 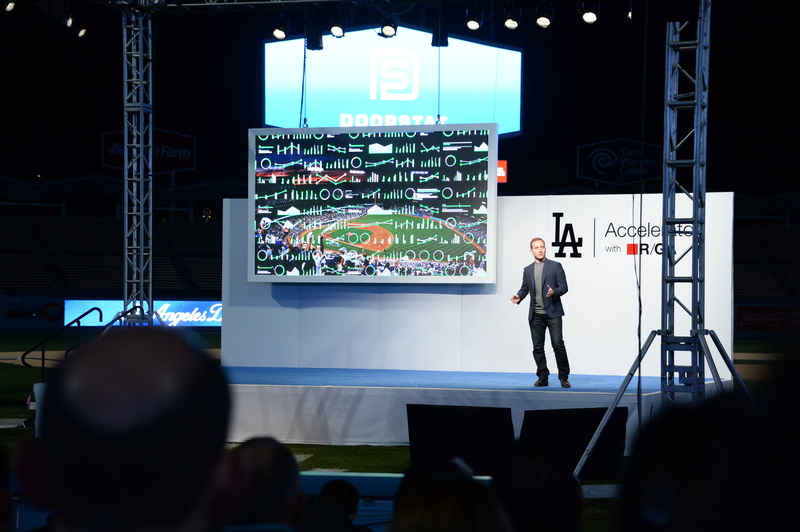 One year ago, the Dodgers and R/GA debuted Dodgers Accelerator (@DodgersAccel on Twitter), an incubator for sports business and technology development, with 10 businesses ultimately presenting their work at a Dodger Stadium event in November. Partnership deals and capital raises for participants followed. 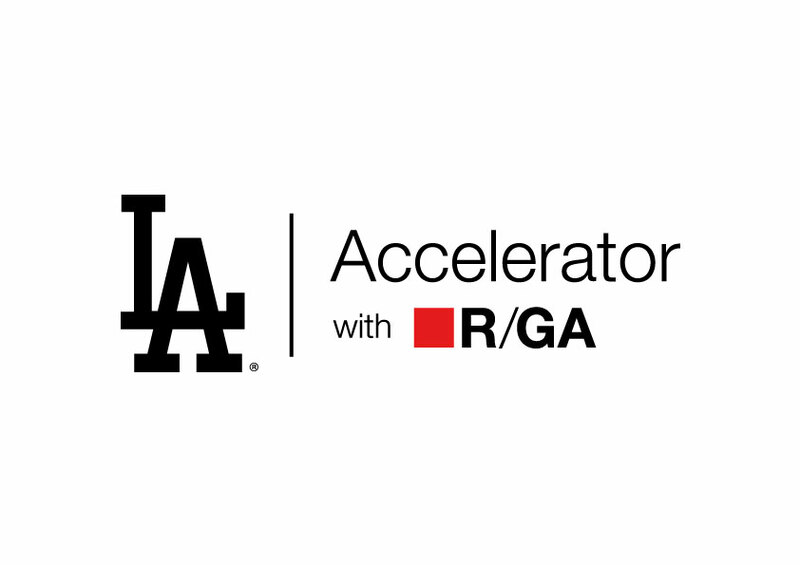 Today, applications are now open for the second year of Dodgers Accelerator action. 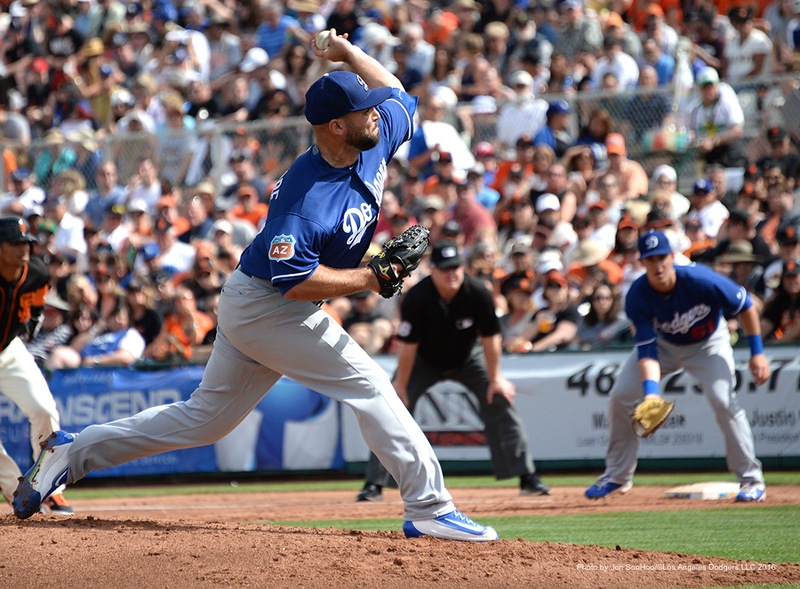 Adam Liberatore has struck out 11 in nine Cactus League innings this year. Dodgers at Padres, 1:10 p.m. The Dodgers are down to two left-handers in their Major League bullpen after optioning Adam Liberatore to the minors following the team’s 5-4 victory Monday over Texas. The question now is, will they go down to one? My youngest son hung up his baseball spikes last year, when he was 7. He lasted a year longer than his older brother, and took a bit more pleasure in it, but it’s all relative. Youngest Master Weisman was the classic player who loved when it was his turn to bat, but went on mental walkabout when he was out in the field, so that when the ball finally did come at him, it was usually 20 feet behind him before he realized it. He likes being with other kids, but he’s got other ways of being with other kids. He was a good sport, but when you’re 7, now 8, life’s too short to stand around bored in the sun. 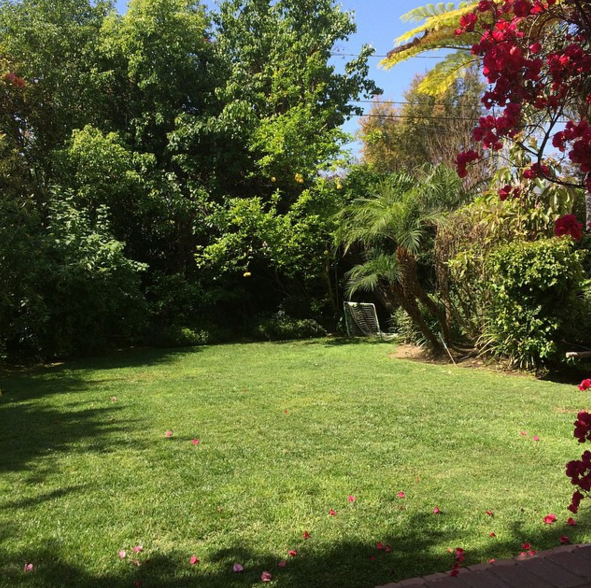 But as I expect Jamey Wright knows, there’s always the backyard. There’s always the place where you control the game, where you can bat as long as you like and if you never want to stand around waiting for a ball to come to you, you don’t have to. Several times during this Spring Training month, while his old coach-pitch teammates have moved on with their lives, my youngest and I have gone out to our little yard, with a toy bat and two Fisher Price balls, well beneath his age level, that we probably purchased half his life ago. The bat weighs about an ounce — just enough heft so that it doesn’t break upon contact, but ideal for him to whip around effortlessly. The ball hits the bat with the sound of a folded newspaper whacking a fly. The photo above makes our yard look deceptively large — this park, to paraphrase “Major League,” is not Yellowstone. Somehow, the dimensions are just right for what we’re up to. I pitch from just in front of the woodsy part, and he has to make solid contact to get it past me. That happens, I’m gonna say, three out of 10 times. (I really have no idea, but that suits the idyllic feel.) There’s a back fence shortly behind the tall trees, hidden. One time, when we said “one more good hit before we go in,” he cleared it. Now, that was a well-earned home run trot. This weekend when we did it, he was in a sad mood before we began, and cheerful when we finished. I have lots of aspirations for my kids. Possibly too many. Possibly not enough. But when it comes to sports, I just want them to enjoy it. We’re not looking to turn pro — we’re barely aiming for amateur. We go outside, never planned, never for very long, never really accomplishing anything. And each time we do, each time possibly being the last time, it means more to me than anything in a boxscore ever could. Rangers at Dodgers 7:05 p.m. If it was a longshot for Jamey Wright to make a comeback with the Dodgers at age 41, what a sweet longshot it was. Wright, who allowed 16 baserunners in 6 2/3 Cactus League innings, announced today that he was retiring from baseball, after 19 Major league seasons and nearly 23 years after signing his first professional contract. He had a chance to say goodbye to the sport with his eyes wide open. 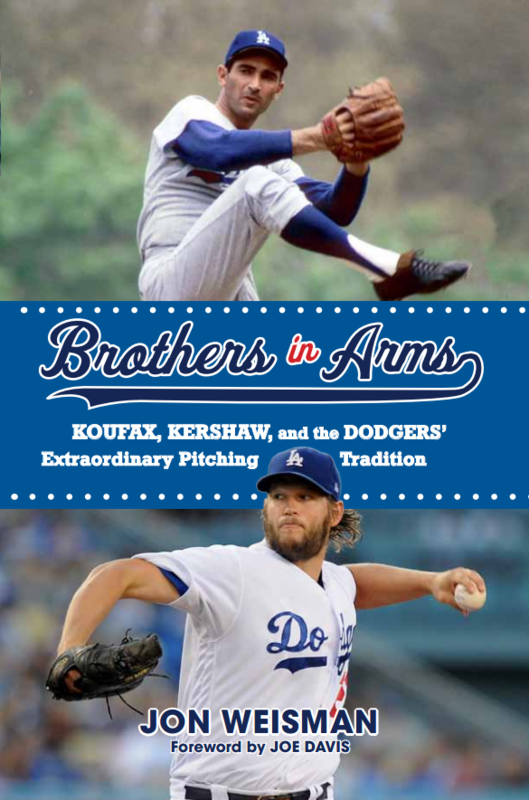 Yahoo baseball columnist Jeff Passan’s new book, “The Arm: Inside the Billion-Dollar Mystery of the Most Valuable Commodity in Sports,” was excerpted at his home site today, and among other things it offers a rare peek into the kinds of steps the Dodgers have taken to grow and target their research and development department in baseball operations. Start reading, and take special note when Dr. James Buffi first appears. Reds at Dodgers, 1:05 p.m. I hope you don’t have to read a tougher story than this today: Former Dodger reliever Javy Guerra spoke to J.P. Hoornstra of the Daily News about the twin horrors of losing his brother and sister in the past two years. Zach Lee held serve in his challenge with Carlos Frias to start in the first week of the 2016 season. In the Dodgers’ 5-4 victory Saturday over the White Sox, Lee (pitching 4 2/3 innings) got two more outs than Frias, but allowed two more runs. Oddly, Lee had no walks or strikeouts. 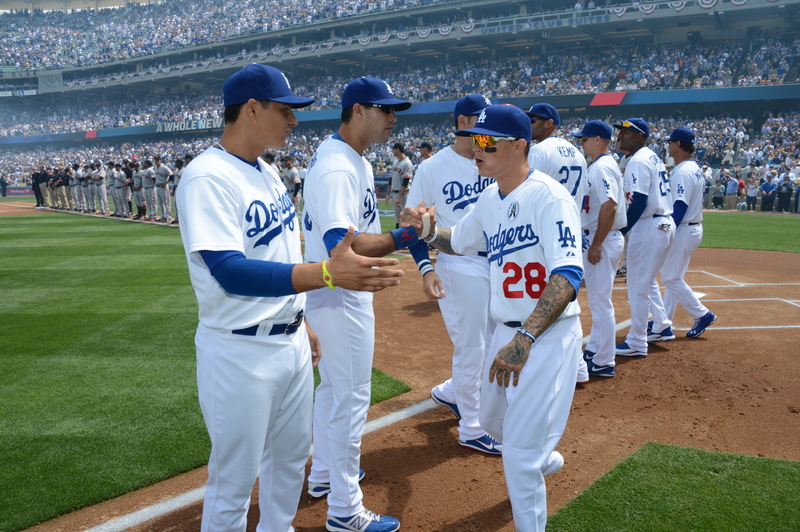 Under the radar, Kiké Hernandez (hit by a pitch near his oblique Sunday), Alex Guerrero (knee) and Yimi Garcia (knee) have gone days without playing as they try to let various sore spots heal. However, Gurnick indicates that Corey Seager is nearing a return to Major League action after playing defense in a minor-league game Saturday. 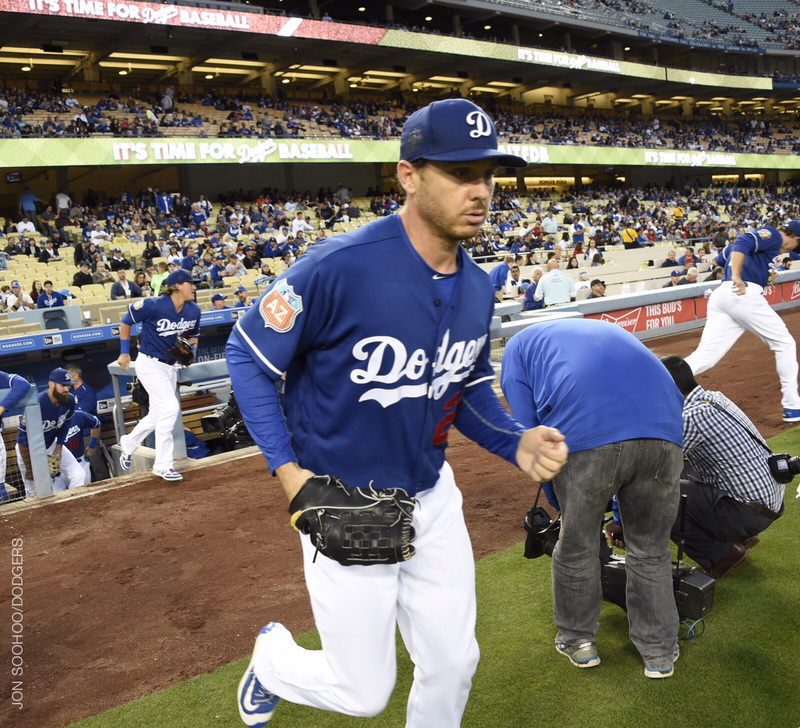 Scott Kazmir’s abdominal issues weren’t abominable – it turns out, they were cramps. Prospect watchers got a thrill when 20-year-old Cody Bellinger and 21-year-old Willie Calhoun hit back-to-back home runs in the sixth inning off MLB veteran Dan Jennings. Each player reached base twice in the game. Justin Turner walked, doubled and singled in his three plate appearances, and now has a Cactus League on-base percentage in the .700 club. Play-by-play announcer Joe Davis is not only spending his first season with the Dodgers in 2016, he and his wife Libby are having their first baby this summer. Congrats! It was Dodger Pride night Saturday at Staples Center with the Kings. @lakings, you look good. I mean, really good. #GKG Join us for Kings Night at Dodger stadium on August 12! Visit Dodgers.com/Kings for more information. Well, the Dodgers sure treated Vin Scully right tonight in his 2016 exhibition debut, with the exception of giving him some drama. Before the game was half over, Scully had a “deuces wild,” a “butter and egg man” and “out from me to you” – not to mention a whopping Dodger victory.